I’m never going to get a job as a real beer critic. The bottle tells us “peppery aromas give way to the perfect balance of malty richness, tangy hops and sultana fruit on the palate, with a long, soft, spicy, finish.” My own description would have just said something about crystal clear medium brown ale with a nice light hop flavour. It’s fun to sip the beer and see if I can taste the promised sultana raisins (the light brown kind) behind the spicy hop flavour. Hmm, my glass is nearly empty and I haven’t found those sultanas…should’ve bought two bottles. 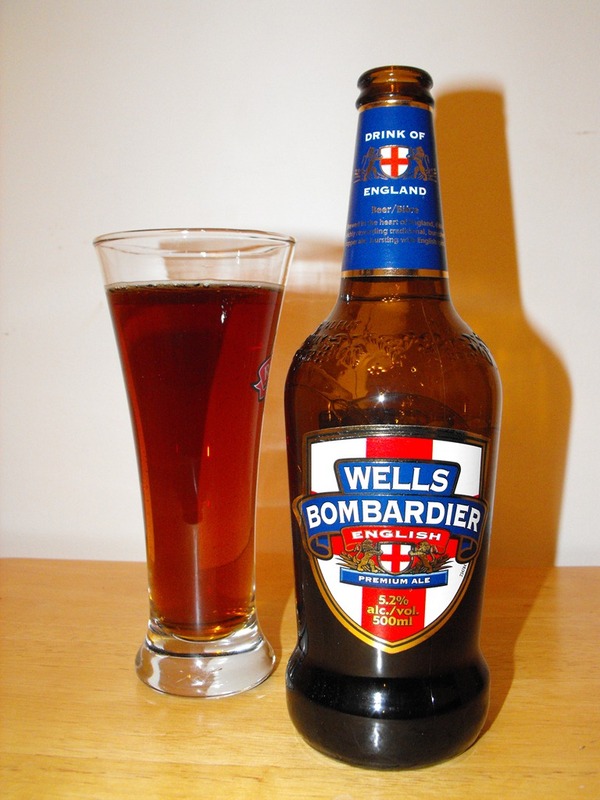 The beer is named after heavyweight boxer “Bombardier” Billy Wells, who took up the sport and acquired his nickname while serving in the Royal Artillery. He was also the figure who struck the gong at the beginning of the original J(oseph) Arthur Rank films. Go watch Olivier’s “Hamlet” from 1948 to see the gong strike that I’m talking about. This entry was posted in Ale, England. Bookmark the permalink.